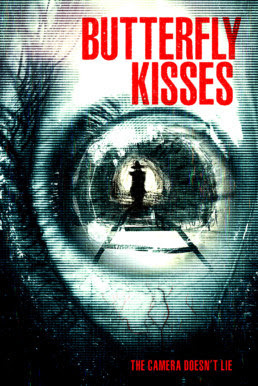 Following our review of the found footage horror BUTTERFLY KISSES (Review Here) we can premiere an EXCLUSIVE song that was made specifically for the film’s closing credits by Steep Steps. The video was inspired by the film and was produced by BUTTERFLY KISSES producer Carlo Glorioso and together with the song and the images in the video it makes one chilling video. Look out for the Peeping Tom! Found footage and urban legend come together in chilling fashion in this unsettling film, shot on location in Ellicott City, Maryland. Gavin York, a wedding videographer sorting through used tapes, uncovers hours of footage shot by two student filmmakers obsessed with an apocryphal figure known as “Peeping Tom.” Followed by a documentary film crew, Gavin pursues the truth of the students' fate, while also seeking fame and fortune by editing their "found footage" into a film of his own. What he discovers instead is doubt and ridicule from all who view it, and allegations of a hoax designed to launch Gavin's filmmaking career. As his obsession grows, Gavin leads the documentary film crew down the same dangerous path taken by the student filmmakers eleven years prior, all while a terrifying urban legend lies in wait. The creepy, yet soothing vocal delivery of Athena Hiotis tells a story of longing and ignored warnings through the song, rising to an unsettling crescendo as the characters come closer to their impending doom. Here is the song Outlines (from the film BUTTERFLY KISSES) by Steep Steps. Very nice - and spooky! Thanks for sharing. It was cool to be a part of this interesting project.